Back to Natives Landscapes, CSLB LIC#1030584. Proceeds from past landscape design, installation and maintenance support our environmental education and habitat restoration programs. We still provide landscape maintenance services for past designs installed by BTN, and will offer maintenance services for future designs by designated designers and licensed contractors. 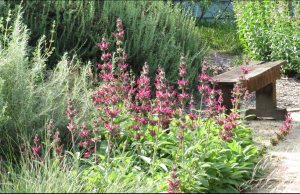 We still provide onsite consultation services, and In Nursery consults, to help you choose the best locally native plants for your garden or projects! 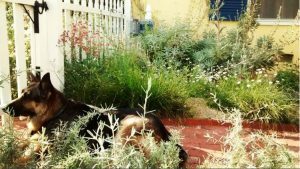 Back to Natives staff are also happy to schedule a native plant landscaping consult on a Saturday with you at our Santa Ana Nursery location. Bring photos of your yard and get ready to leave with plenty of ideas! A 60 minute consult costs only $40. To schedule your appointment, email us. For a complete fee schedule, scroll to the bottom of this page. We will be offering several landscape workshops and seminars throughout the year. Stay tuned to our Events Page! 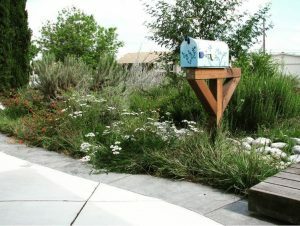 Check out some pics of landscape quality native plants. We ARE accepting new design clients at this time. Please complete our NEW CLIENT INTEREST FORM if you are interested in beginning the design process. Back to Natives’ Reginald Durant was the chief landscape designer for the “Costa Mesa Green Home,” which is certified ‘Platinum’ by the US Green Building Council’s (USGBC) Leadership in Energy and Environmental Design (LEED®) for Homes Program, the First LEED Platinum home in Orange County. Reginald also provided the landscape design for “Project 319,” Living Green Homes’ first green single-family residential development, one of the first of its kind in OC to earn the Build It Green, GreenPoint Rated designation. Reginald Durant and Lori Whalen have been guest designers at the Spring Garden Show at South Coast Plaza almost every year since 2010. We’ve designed two parks: Maple/Occidental Park for the City of Santa Ana and Kempton Park in Rossmore. Our landscape designs have been featured for many years on the California Native Plant Society Spring Garden Tour. 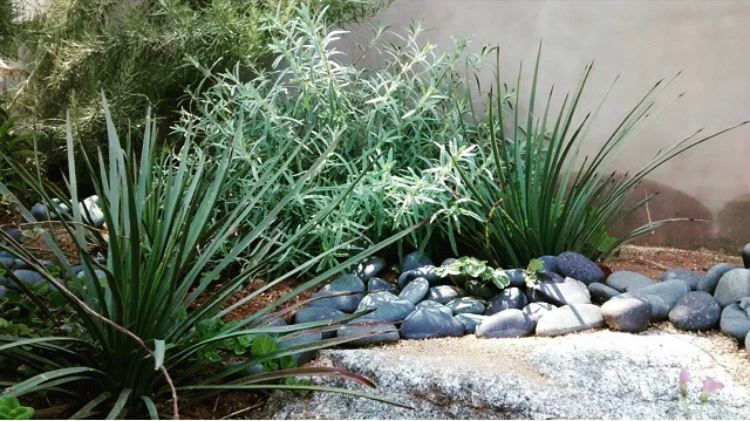 Reginald has also been a guest presenter at the Long Beach Landscape Expo and the Landscape Architects Expo for several years. Locally native plants are beautiful. They attract butterflies and birds. They can help you save water, eliminate the need for harmful pesticides and fertilizers, and reduce maintenance needs. 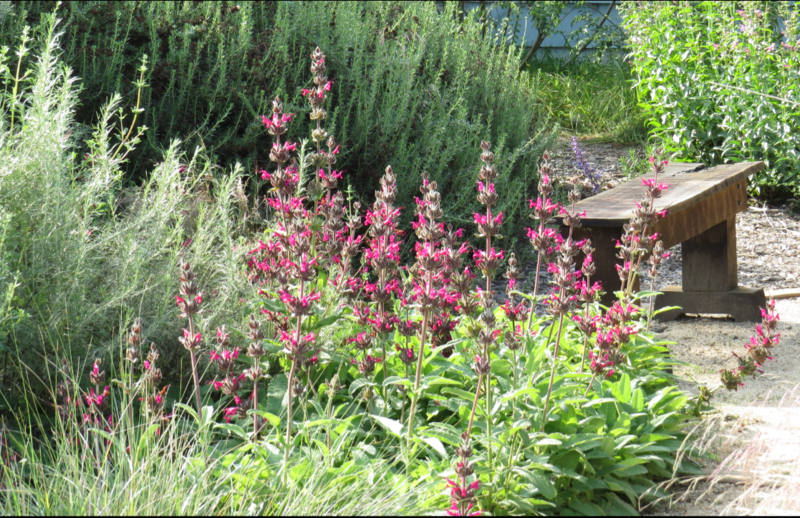 A native plant landscape will save you money and help the environment. 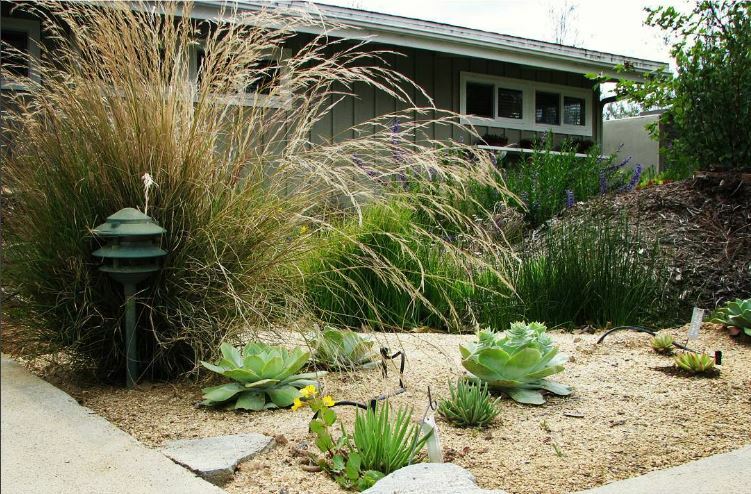 With over 1200 species and counting of native plant species in Orange County, choices are almost endless for that ‘specific look’ you are in search of! We keep our prices low, so that you as a client can save money. When we provide you with a quote, that allows you to compare our prices to other companies in your area. But there’s something you also need to know when shopping for quotes. 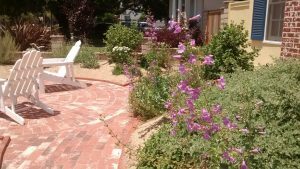 When you compare bids from different landscaping companies, ask the important questions. Find out if the company offering you a quote has both proof of insurance, and that they are fully licensed to work in your area. Not only is it the law that a contractor be licensed and insured, but it protects you. If an uninsured worker is hurt on your property, it can personally cost you serious money. Inexperienced and unlicensed contractors can also provide a poor quality of work, which can cost you valuable cash and time to fix. There are many who also do substandard work, and who operate without the proper credentials. Take time to ask for addresses of work they have done elsewhere to view the type of work their crews do. Our Director personally works with his crew on every project. We take pride in servicing our customers and providing a respectful and safe work environment. Read our blog article on estimating landscape costs HERE. Onsite Consultations: $60.00 per hour, minimum 2 hour, averaging 2-3 hours depending on question and answer time. An additional $1.00 per mile fee (round trip) will be charged to locations beyond 10 miles of our Santa Ana Nursery. Site Measurements: If you decide to contract with BTN for landscape design services, measurements will need to occur unless you have an existing plan (printed or digital file in PDF or DWG format that we can digitize in Auto cad). Taking measurements and digitizing both cost $60/hour. Irrigation: Irrigation Modification Design hours charged at $60.00 per hour. 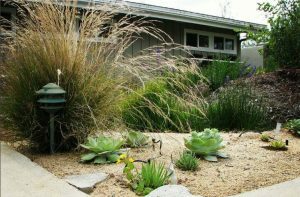 *BTN Landscapes can perform irrigation installation and modification. Read our blog article on estimating landscape costs HERE. R.F. ; Spruell P.; Wenburg J.K.